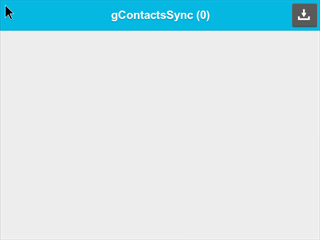 gContactSync v3.0 – Surely BlackBerry users already familiar with Google Sync too . 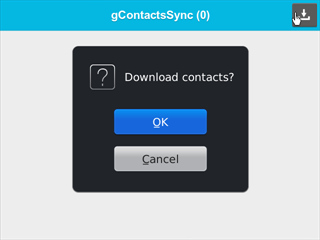 A software that enables synchronization between BlackBerry and Gmail contacts . The features that this software does not bring much to say anymore , but the utility that fall into one or the loss of contacts . But what if the user is not careful , the risk of some contacts not only lost , but also to be cloned many times . Brought no small trouble to the user. This part will fix dc when you use gContactsSync . This application supports BlackBerry models running OS6 or higher . Simple, easy to use and can never be duplicated . By read-only software on Gmail and Contacts have been taken into Contacts on your BlackBerry users use the Saved . After the process is complete Save to phone all your contacts from Gmail will be poured into your Contacts. The downside of the program is to allow only one-way sync from Gmail to machine, not vice versa. However, it is a good solution for the moment when the user wants to dump contacts in outlook may.Hy the next update will have two-way sync program.